Bradford, UK – Yorkshire Water is being urged to end grouse shooting on its moorlands, following the discovery of snares and a ‘stink pit’ at several beauty spots across the region. Yorkshire Water – one of the region’s largest landowners – is being urged to stop leasing land for grouse shooting, following the discovery of snares at three popular moorland beauty spots across West and North Yorkshire. Ban Bloodsports on Yorkshire’s Moors (BBYM) visited land let by the utility company at Haworth Moor, Stanbury Moor and Thruscross Reservoir (photos available here, here and here), where it discovered the devices set only meters away from popular public footpaths and iconic visitor attractions, including the Brontë Waterfalls. 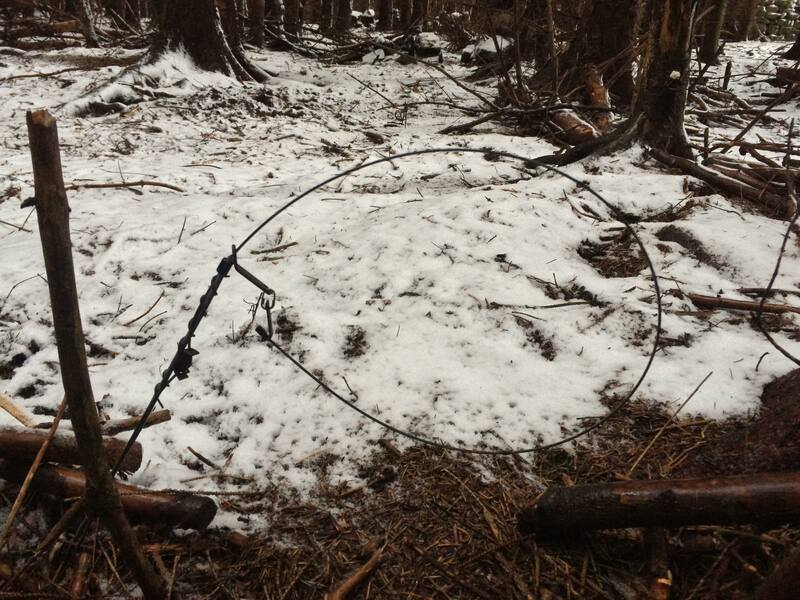 Snares are controversially used to catch foxes on grouse shooting estates in order to preserve large numbers of game birds from natural predators for shooting parties. In one case on Haworth Moor, the metal-nooses were discovered located around a stink pit – a heap of rotting carcasses of other wild animals, aimed at enticing opportunistic mammals in to their deaths. A 2012 DEFRA report into snaring shows that only 25 per cent of animals caught in the contraptions are foxes, with the other three-quarters including badgers, cats, dogs and deer. Yorkshire Water prohibits the use of snares by its grouse shooting tenants and the discovery at three different leased moors shows the utility company is not exercising due diligence, BBYM says. Earlier this month Bradford Council – in whose jurisdiction Yorkshire Water’s Headquarters are located – ended grouse shooting on municipally-owned Ilkley Moor, following a sustained campaign by BBYM (formerly Ban Bloodsports on Ilkley Moor). The organisation is now heading up calls for Yorkshire Water to follow the local authority’s example. Luke Steele, Spokesperson for BBYM, comments: “Discovery of fox snares seemingly set without permission at three popular moorland beauty spots leased by Yorkshire Water for grouse shooting not only brings the utility company into disrepute, but also places the reputation of our region’s visitor attractions in jeopardy. This, when coupled with intense burning over heather peatland habitat, paints a bleak picture for wildlife on moors the company manages.